Home > Cycad Species > Encephalartos Species > Encephalartos lehmannii "Kirkwood Form"
This is the rare Kirkwood form of Encephalartos lehmannii--the hardiest and most drought-resistant of the cycads of southern Africa. 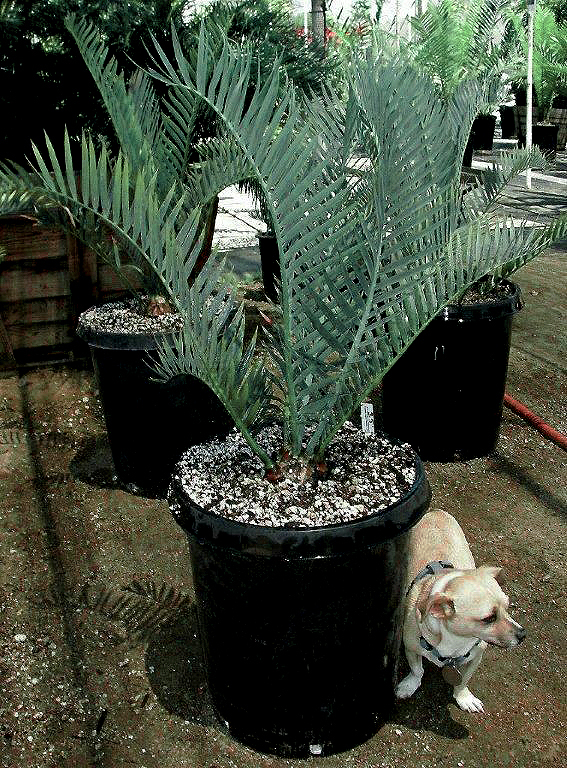 The Kirkwood Form has the same blue color as the more common form of Encephalartos lehmannii, but it has longer leaves, more recurved leaves, and a more robust growth habit. It is frost tolerant. Please click here to see a larger plant image.